your breath’s a symphony of dryad’s charm. its petals moving, undulating with its blow. united surface breaking, we’re so close. before, your flesh was nested into mine. with promises of rain, tomorrow’s storms. Hannah inspire us to write about the Nature’s elements at toads. My imagery took my through a nested Rubaiyat with slanted rhymes. Wow, this is absolutely beautiful, Bjorn. Love the rhythm of the form, and your words swoop and soar. So uplifting and wonderful to read. Loved it. Thank you.. the poem grew from using the form… It often does for me. I write to as many prompts as i can… it deepens my knowledge of poetry.. and I simply knew that rubai would work for this prompt. Thank you for a wonderful prompt.. somehow I knew instinctively that it would work with the form I did choose…. This gave me chills to read. What a perfect rendition of the theme. A poem to be proud of. I liked the way you sectioned off the duties of the various elements. Are you an engineer? You handled aether very nicely also. Seems a lot (of the few who’ve written yet) included that one. It is one of my favorites, being into radio and electronics. I like Rodin, thank you for using his work here as an illustration. I am an engineer and physicist… so it could be that 🙂 But I really wanted to write a small poem for each of the element… so they could be read by themselves or combined… . 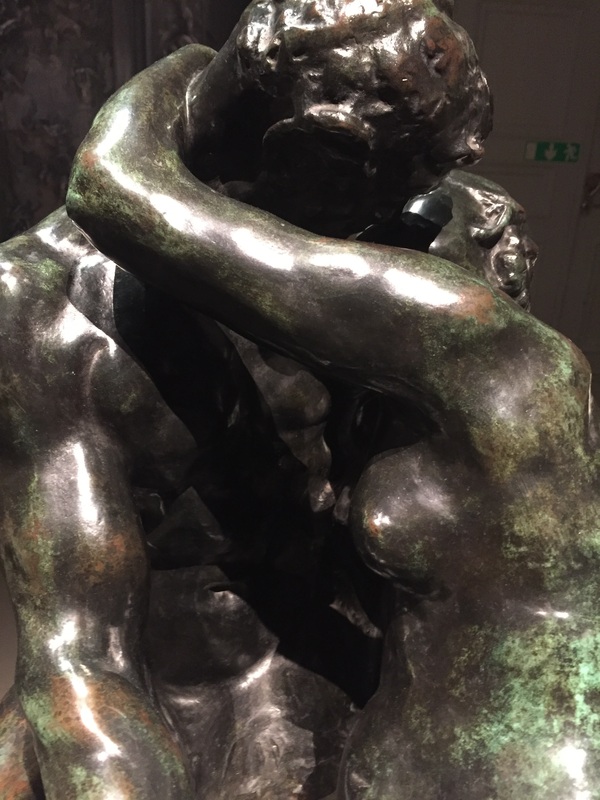 The picture is from a Rodin exhibition here in Stockholm, but the Rodin exhibition is still on my bucket list of things to do. Thank you 🙂 Love poems are hard to write… but so rewarding. its petals moving, /undulating with its blow…” but all of it is magical. Thank you.. writing in the tradition of Fitzgerald is fun..
No one does love poems like you. Simply beautiful. Steamy! This one is a new favorite of yours for me. I especially like Water, Fire and Aether. a love offering to the elements, bravo! very well put together, Bjorn–and covering lots of territory. k.
A beautiful and sensual Rubáyiat poem pinned against classical elements.